恐れ入りますが、このホテルに関する詳細はまだ日本語に訳されていません。 Cornwall’s come a long way since it was Fawlty Towers country, all crumbling inns and desolate promenades. 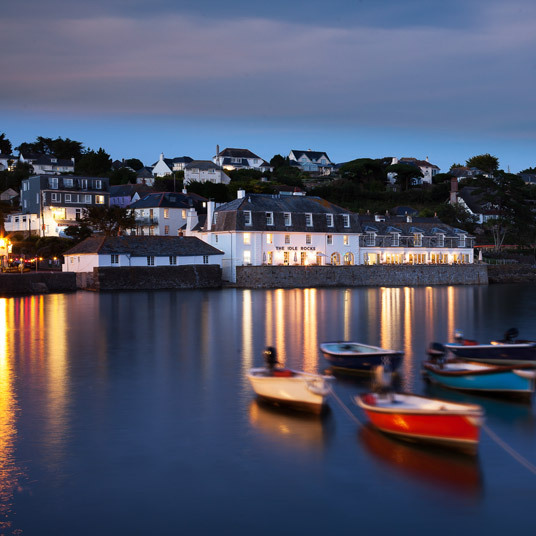 In fact the seaside village of St. Mawes has itself become something of a glamour destination, albeit a low-key, rather under-the-radar one. 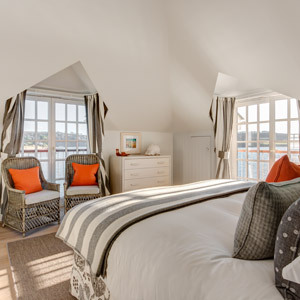 And now the Idle Rocks Hotel, the whitewashed inn that’s long presided over this picturesque harbour, supplies another reason to visit — it’s been taken over by new owners with an eye for design and a taste for relatively understated luxury. We say “relatively” understated because the pair in question includes the chairman of Aston Martin. But anyone who fears the ostentation of a race driver’s hotel has nothing to worry about here. The public spaces are contemporary, a bit spare, bright and airy, but still cozy for all that — and while the rooms are clean-lined and contemporary as well, with plenty of bright white and vibrant pop, they lack anything that can reasonably be described as edgy. All in all it’s quite in line with the state of the art in contemporary British luxury, which is a pretty good art to be the state of, frankly. There’s just enough original character to make the Idle Rocks feel unique, mixed with just enough modernity to keep it from feeling like a museum. The restaurant very sensibly focuses on seafood as well as the West’s enviable produce, and from there a walk along the seaside is but the work of a moment. 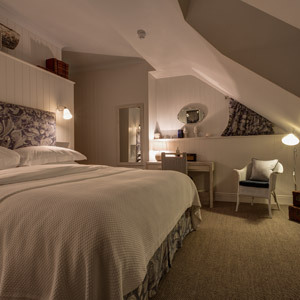 How to get there: The hotel is about a 40-minute drive from Newquay Cornwall Airport (NQY), or about a 35-minute drive from the St. Austell train station, with regular service from London and the Midlands. The hotel can arrange transportation from the airport or train station at an additional charge. Pets are allowed with prior permission from the hotel. 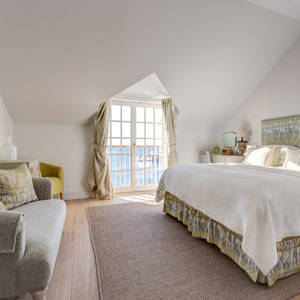 Baby cots available on request direct with the hotel Cancellation policy Upon booking we request a deposit of 50% to secure the reservation for all stays of two nights or more. For a one night stay we request a deposit of the full amount. 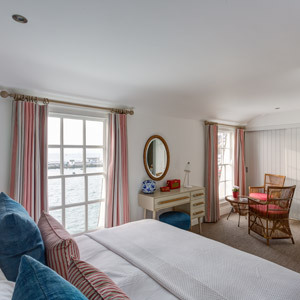 In the event that the booking is cancelled less than 14 days before arrival we reserve the right to retain this deposit unless we can re-let the room. We do advise you to ensure that you have adequate travel insurance in place to cover any unforeseen cancellation.